Senior guard Elijah Ross scored his 1,000th career point against the Black Hills State University Yellow Jackets on Feb. 23. Ross’ 1,000th point came with four minutes and 27 seconds to play in the game. He was able to secure a three-pointer as part of an 11-point drive that brought UCCS to within two. One of four three-pointers for the night. Ross came off the bench that night, and led the team in scoring with 22 points, close to his career high of 25, scored against Colorado Christian University on Dec. 16, 2016. The UCCS bench scored 37 points. 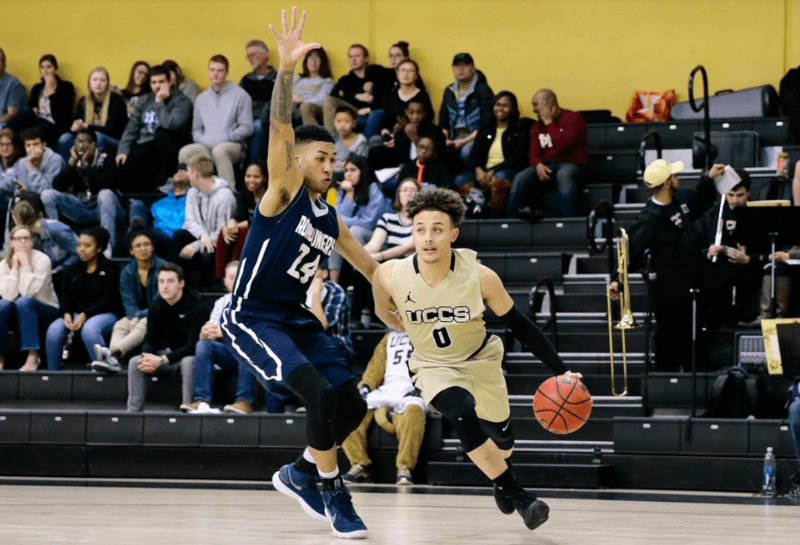 Prior to Ross, the previous UCCS athlete to hit 1,000 career points was Darius Pardner, who played guard, like Ross, and graduated from UCCS in 2015. Ross is also the all-time career assists leader for the men’s basketball program. For his contributions to the UCCS basketball program, Ross has seen a number of awards come his way, including being a part of the All-RMAC First Team during the 2017-18 season. Ross was also named the Rocky Mountain Athletic Conference’s (RMAC) Offensive Player of the Week back on Nov. 13. This past season, he was also tagged for the All-RMAC Pre-Season Team. Against Black Hills State, Ross played a total of 22 minutes, coming off the bench to assist with the game. These minutes, coupled with the 38 minutes from a previous Black Hills matchup, added to his total to bring him to 1,212 career minutes in his three years at UCCS. With 25 seconds remaining, the team came within two points, then gave up one more on a last-second foul. UCCS lost the game 79-76. UCCS went on to another loss on the road against the Colorado School of Mines on Mar. 1, and closed out their regular season with a 17-11 overall record. The loss was settled by a final found and a single free-throw making the score 81-80. The two losses put UCCS at No. 6 in the RMAC, taking away their opportunity to host the RMAC Tournament Quarterfinals on March 5. The team traveled to Regis University for the quarterfinals, where they were defeated 80-78. Back in December, UCCS managed to defeat Regis at home, 84-80.